IN Thor: Ragnarok, the hammer comes down as usual, but the humour goes up in a whole new way for a Marvel superhero movie. It is definitely no classic, but an appreciably looser, livelier approach will reinvigorate those beginning to tire of the standard Marvel formula. This is the third big-screen solo outing for Thor, and the big burly bearded bloke has never been in better form. While he is still required to smash stuff up, this time he is also looking to crack you up. The first thing you notice about Thor: Ragnarok is while it supplies the kind of sprawling action spectacle Marvel is renowned for, it is also a sly, dry comedy packed with deadpan punchlines and absurd sight gags. The good-natured goofiness to the fore here is definitely the handiwork of New Zealand filmmaker Taika Waititi, fresh off his 2016 global sleeper hit Hunt for the Wilderpeople. When Waititi and an openly enthusiastic cast - led by Australian duo Chris Hemsworth as Thor, and Oscar-winner Cate Blanchett as his evil older sister Hela - get the laughs going on a roll, the movie's charm is irresistible. In spite of Thor's longstanding association with The Avengers, this lighter, brighter vibe leaves Ragnarok often feeling like a Guardians of the Galaxy spin-off. So what does the word Ragnarok mean exactly? Well, it is the realisation of an ancient prophesy forecasting the complete obliteration of Thor's beloved home realm of Asgard. For the bulk of the film, there is precious little the titular hero can do about this bleak situation. 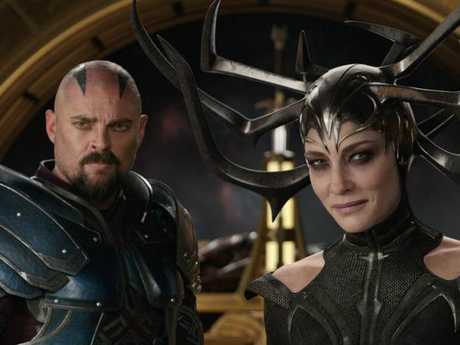 Not only has the villainous Hela taken control of Asgard. In her self-propelled ascension to the throne, Hela has maliciously, yet matter-of-factly smashed Thor's mighty hammer Mjolnir to bits. That takes some doing, no matter how sinister or super-powered you happen to be. 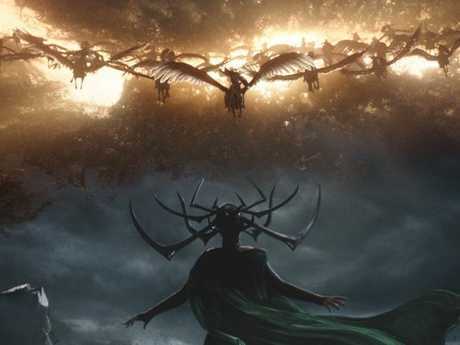 Clearly, Hela - fond of referring to herself as "the goddess of death" - is a force of evil to be reckoned with. 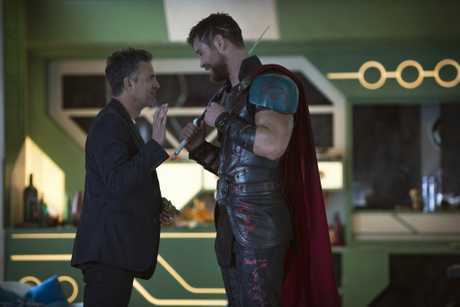 Meanwhile, Thor is being held captive on the far-flung planet of Sakaar by a freaky fight impresario known as The Grandmaster (Jeff Goldblum). A twitchy blend of traditional entrepreneur and rebel dictator, The Grandmaster is promoting a stadium slugfest that will pit Thor against his old Avengers pal The Hulk (Mark Ruffalo). Thor's only chance of wriggling free from this tight bind is to get on the good side of the fiery bounty hunter Valkyrie (Tessa Thompson), and somehow form a reliable alliance with his devious brother Loki (Tom Hiddleston). The revolving-door integration of fan fave Loki throughout Thor: Ragnarok is very well deployed by Waititi. Tom Hiddleston and Chris Hemsworth share a particular and potent comic connection that makes even the simplest scene of the pair conversing come alive. Both actors haven't been this switched-on and ready for anything on screen for a few years now. It will be interesting to see how fans of the Thor franchise respond to the new character of Valkyrie. She has been given a lot of screen time here, possibly in response to the smash-hit success of Wonder Woman earlier this year. Tessa Thompson (best known for her breakout performance in the boxing drama Creed) has the combative presence and overall attitude to fill the role - she is certainly a far better actor than Gal Gadot, that's for sure - yet Thor: Ragnarok seems unsure of how to make best use of her talents. It doesn't exactly help that Valkyrie's defining personal trait is being drunk as often as possible. After a while, it gets kind of creepy to see a near-poisonous level of alcohol abuse passed off as normal. 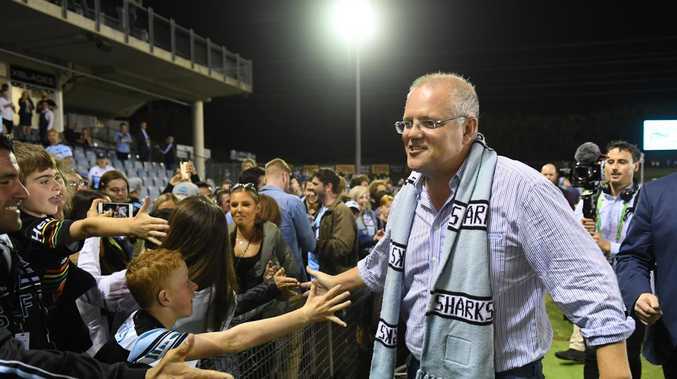 Not a good look for any impressionable youngsters who might be watching. This is the one real misstep of a movie that otherwise walks the walk in assured fashion. There is a fair whack of story for Thor: Ragnarok to work through, and there are sections of the movie where it doesn't quite strike the right balance between its mythical obligations and mirthful intentions. After each item of Marvel business is seen to, Ragnarok can take a breather and be a wittily self-deprecating (and very funny) Taika Waititi movie again. Overall, there is a fresh energy and endearingly laid-back sense of style at work in Thor: Ragnarok that will hopefully turn the page to a whole new chapter in the Marvel playbook. Thor: Ragnarok opens in cinemas tomorrow. Stars: Chris Hemsworth, Cate Blanchett, Tom Hiddleston, Tessa Thompson, Mark Ruffalo, Jeff Goldblum, Anthony Hopkins, Benedict Cumberbatch. Thor:Ragnorak behind the scenes: A look at the making of a Marvel blockbuster.